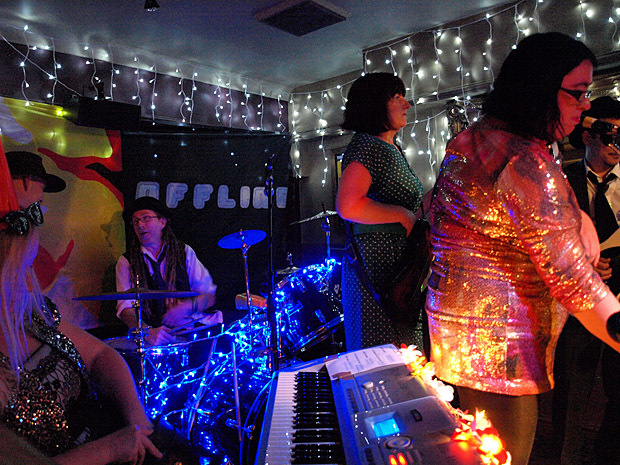 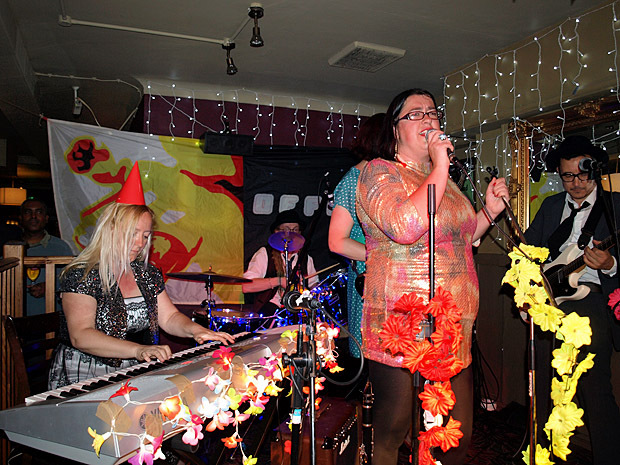 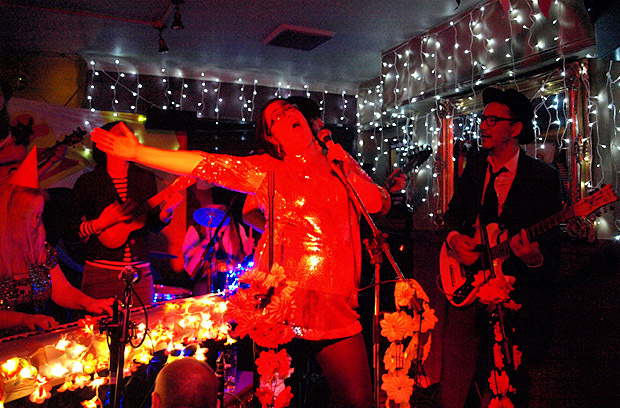 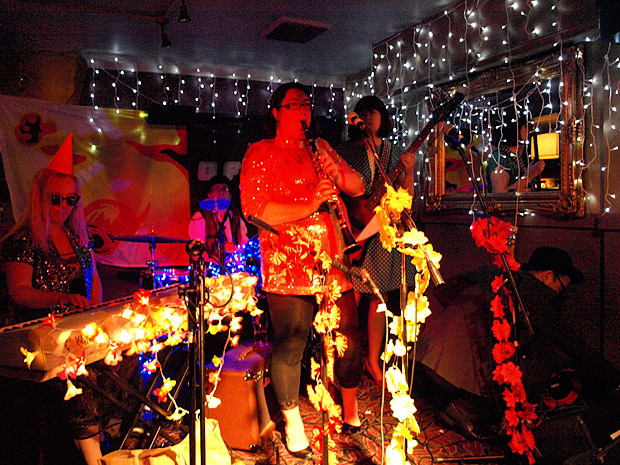 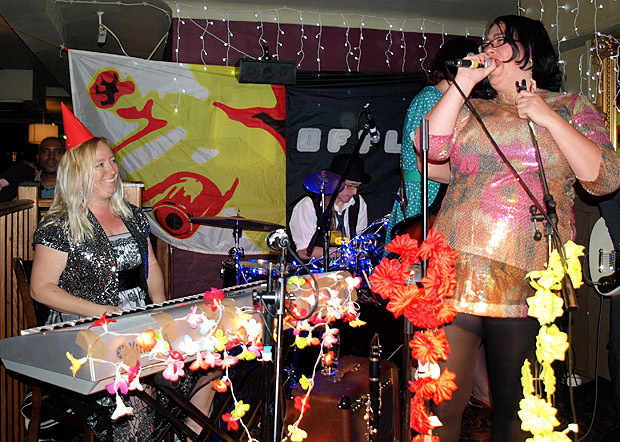 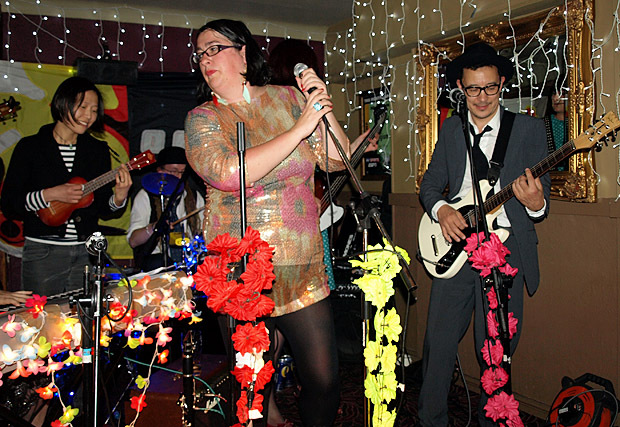 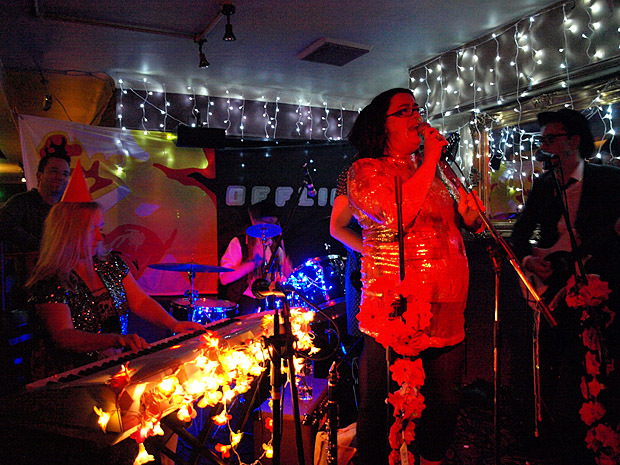 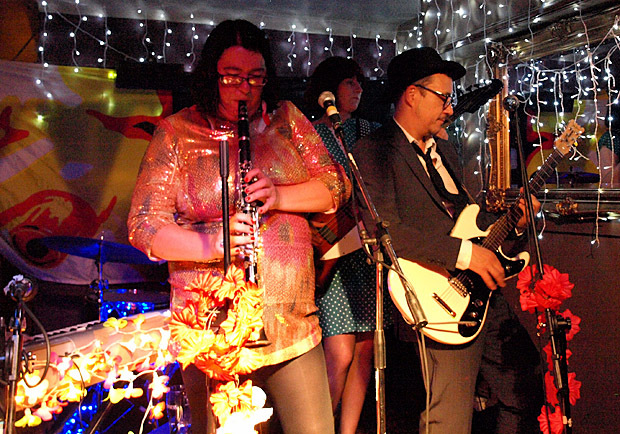 Fri 1st JUNE 2012: MRS MILES EXPERIENCE DEBUT SHOW! 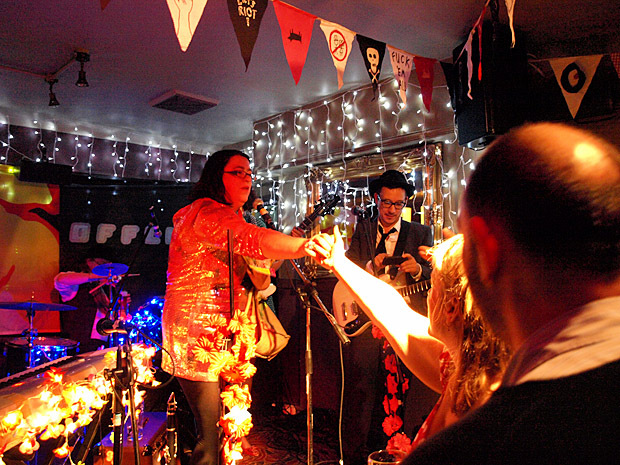 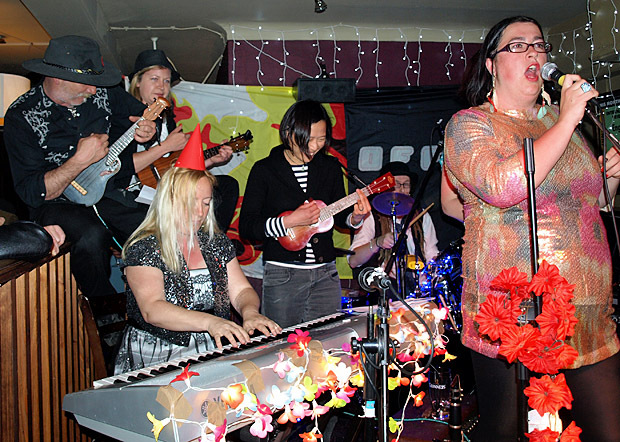 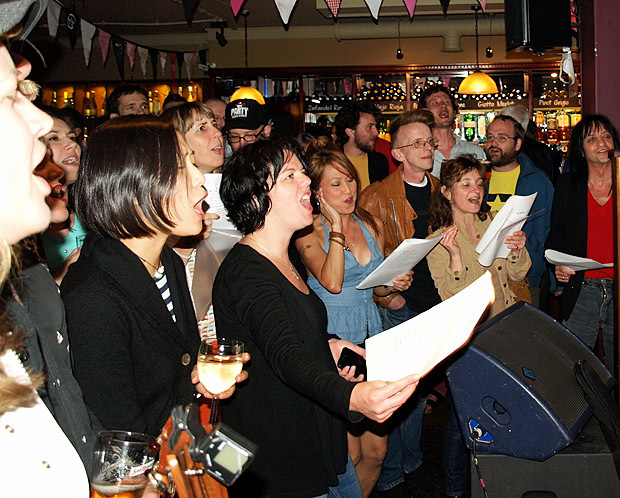 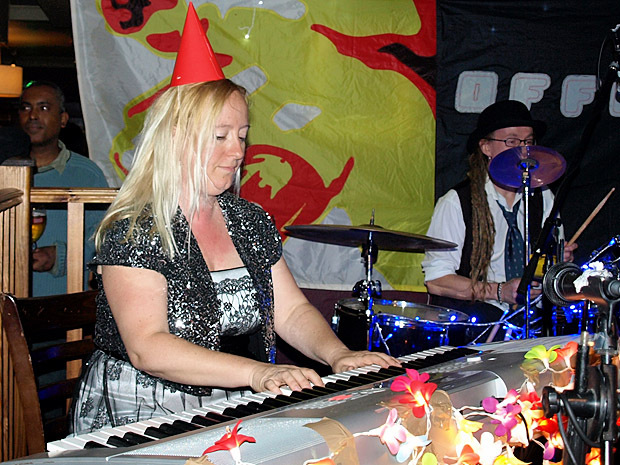 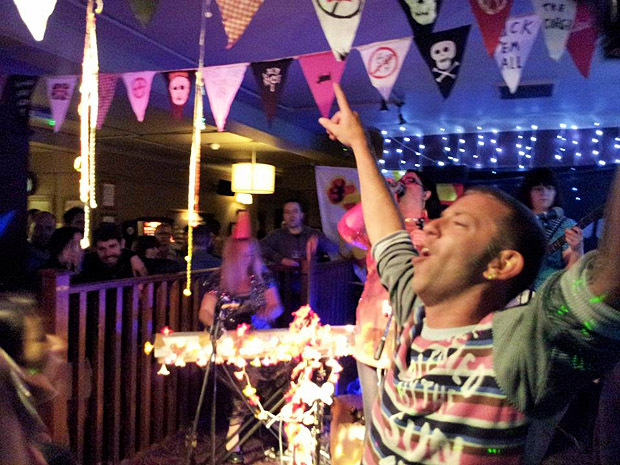 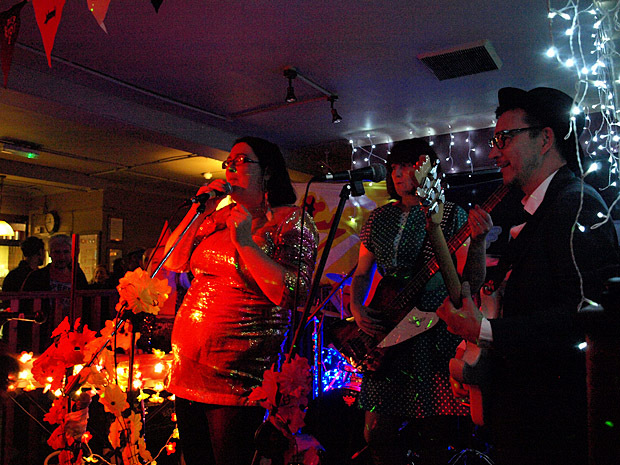 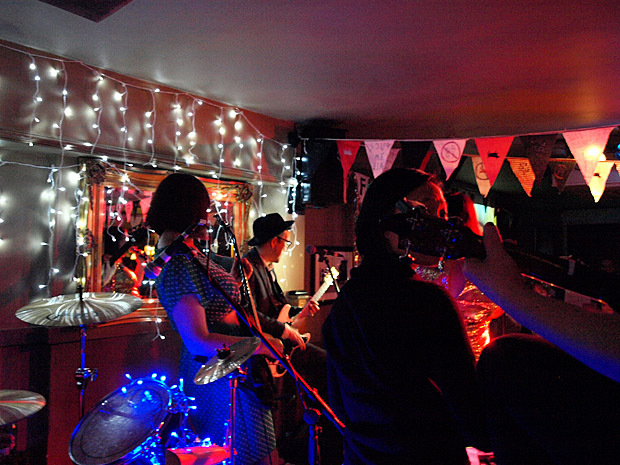 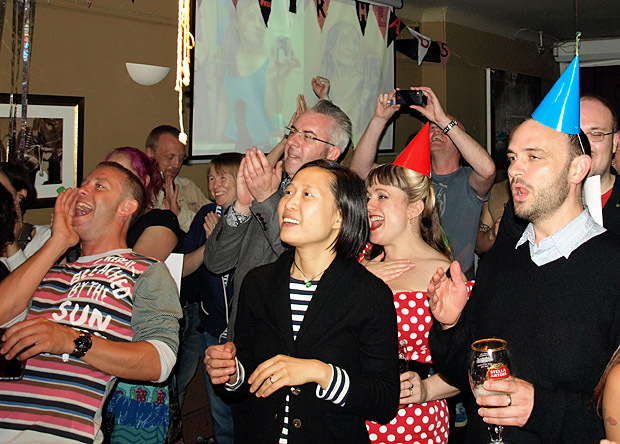 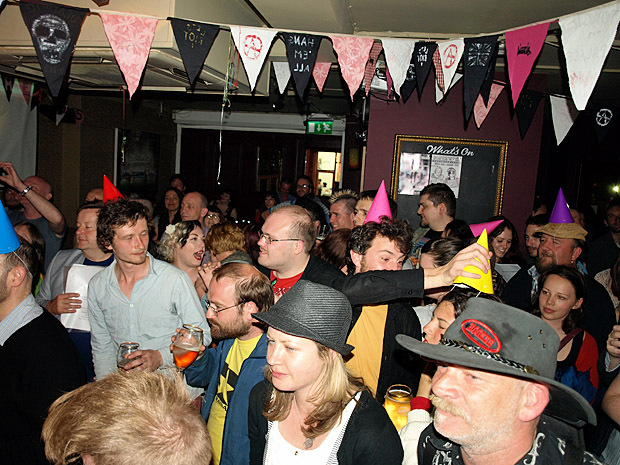 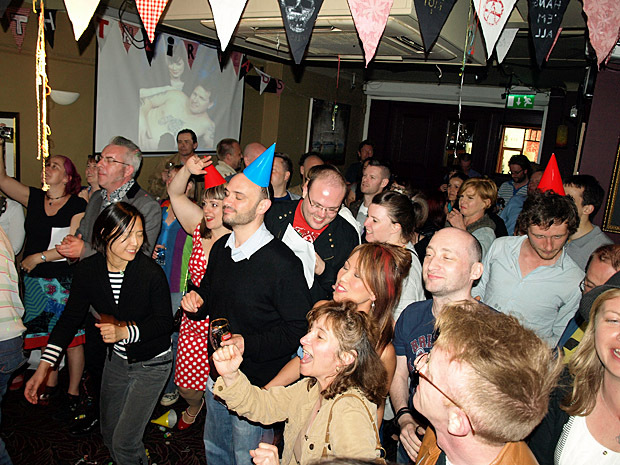 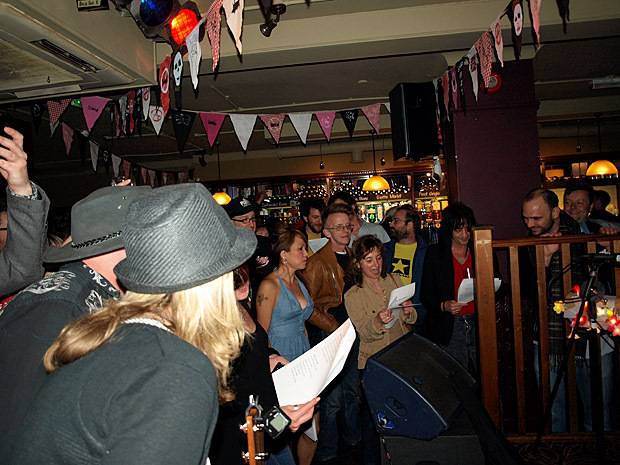 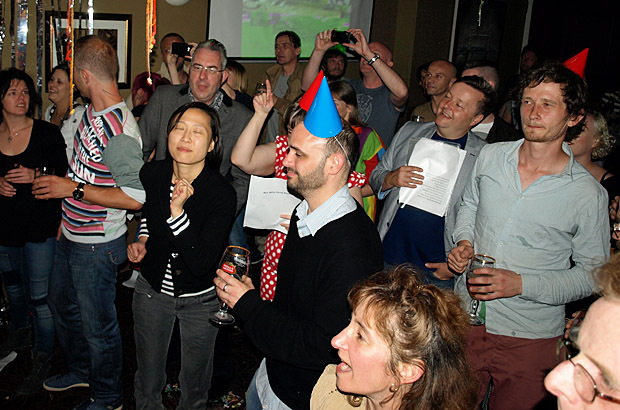 Our debut gig proved to be a huge hit, with a big crowd that were quick to join in with our music hall singalongs. 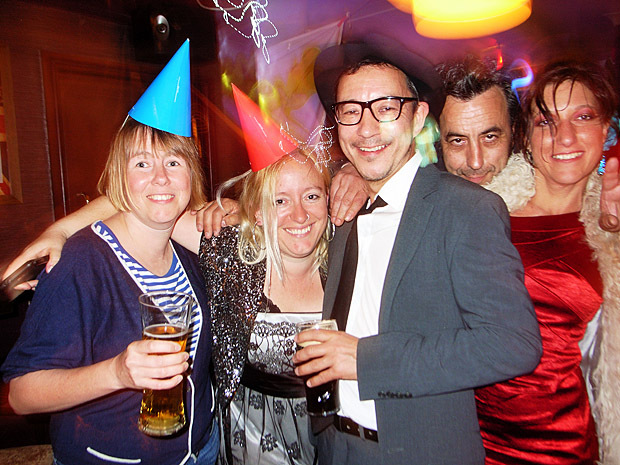 Here's some photos from the night. 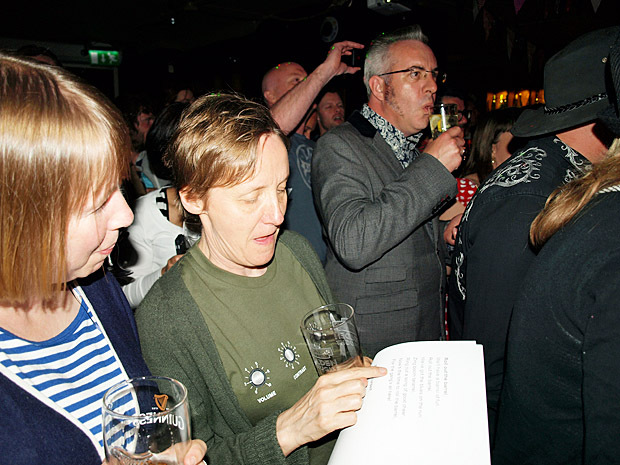 We were joined onstage by the fabulous Dulwich Ukuele Club for two songs. 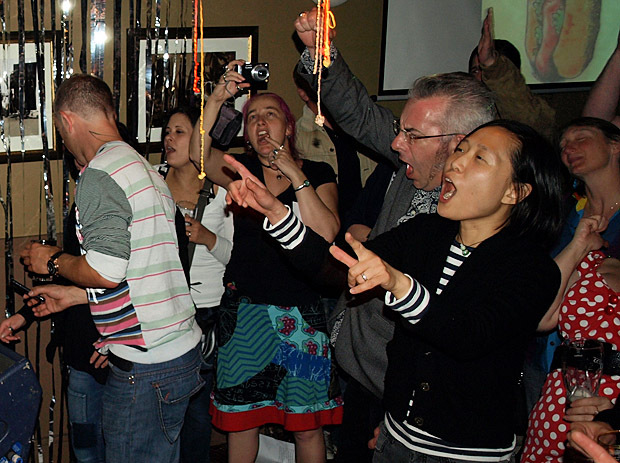 Singing along to the mighty Mrs Mills.